The Summer of Arcade lineup is full of great titles. We were very impressed with Limbo when it hit the marketplace last week, and while we haven’t posted a review on it yet, Hydro Thunder Hurricane has been consuming most of our time this week. There are a few more weeks left till we get to what is my most anticipated of all the Sumer of Arcade titles: Monday Night Combat. 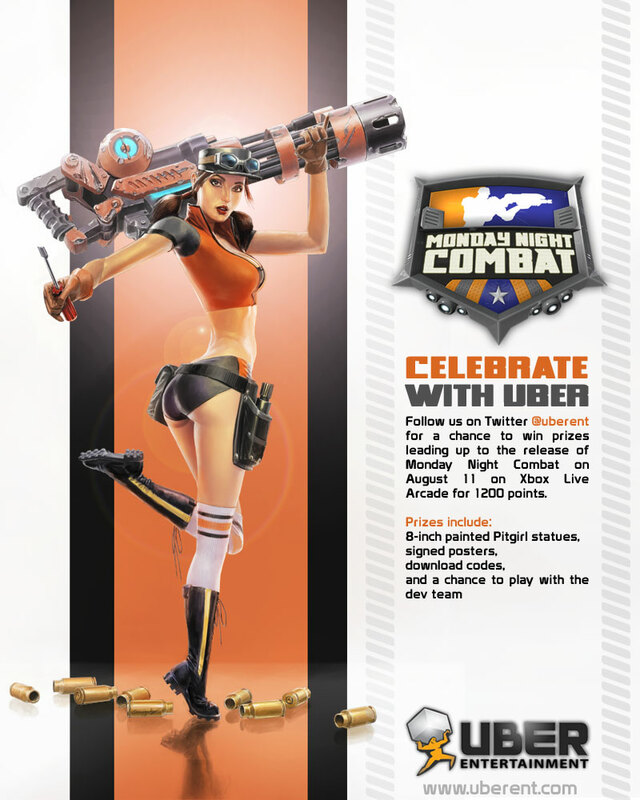 In the meantime, we wanted to let you know that Uber Entertainment will be giving out prizes leading up to and beyond the release of Monday Night Combat on August 11th on XBLA for 1200 points. Follow them on Twitter @UberEnt for a chance to win 8-inch hand painted Pitgirl statues, signed posters, download codes, and a chance to play with the dev team!